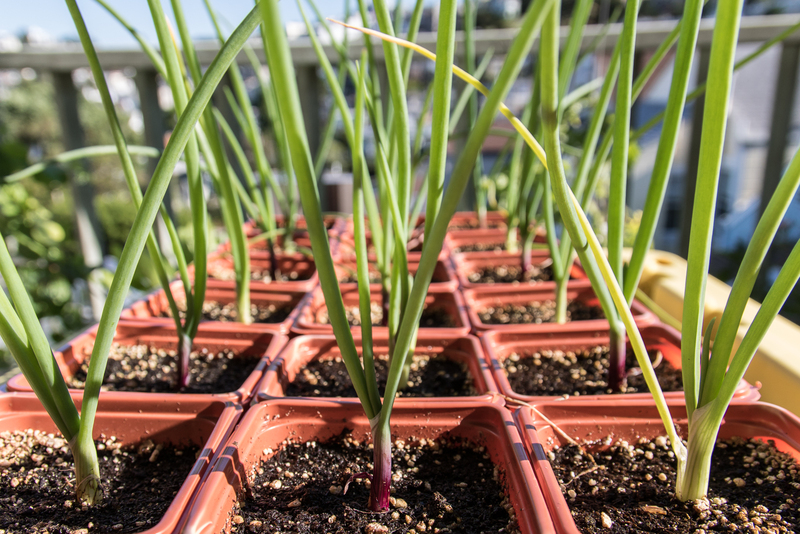 In my latest new venture of San Francisco urban gardening I’ve decided to try growing onions; specifically Cortland and Ruby Ring. I’m intentionally growing them in very small containers as a trial run to see what’s possible. 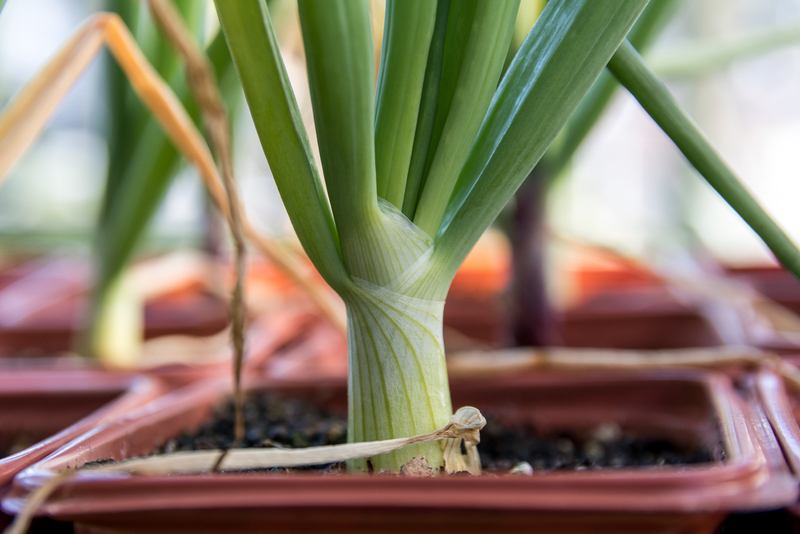 Onions are shallow rooted vegetables, so as long as they get adequate water & nutrients I expect them to grow well. I started these from seed on 23 Feb by planting a lot of seeds in a small pot. At 5 weeks I washed all the soil away and took the best starters and planted each of them in their own 4″ pot in a seedling tray. 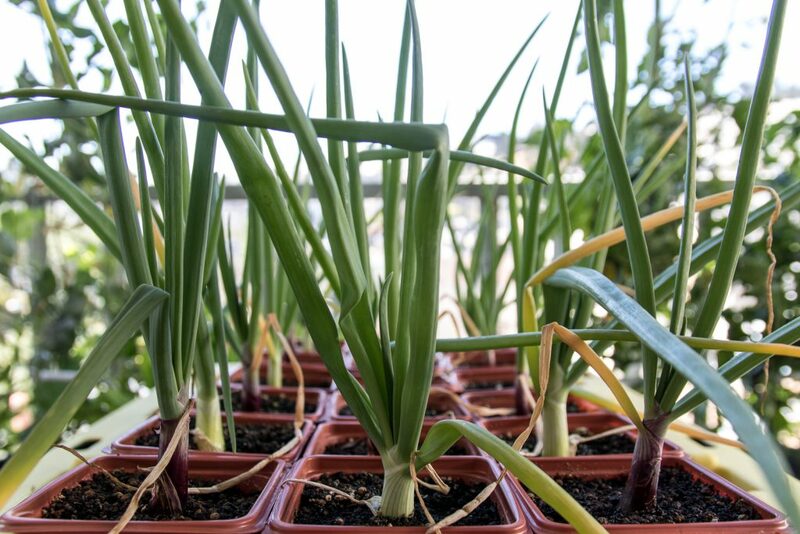 The picture shows the onions at 70 days since they were planted as seeds. They’re half way through their growth cycle on paper, but I planted them about 5 weeks early so it might take another month or so for them to bulb out. The onions have started to bulb out, mostly below the soil surface. It’s taking longer than I thought, but they’re still growing and healthy.